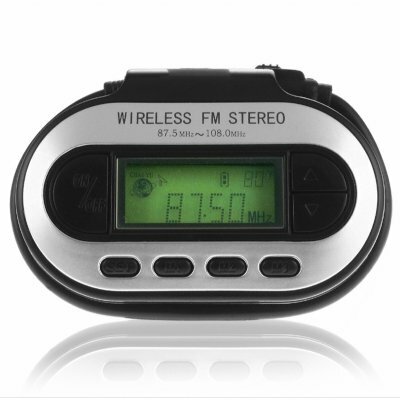 Successfully Added 3.5mm Wireless FM Transmitter - Car + Home Use to your Shopping Cart. Wireless transmitter for sending music or audio from any device with a 3.5mm audio jack (including MP3/4 players, iPods, CD players, Notebook, ect) directly to your FM radio in your house or in a car stereo system. This inexpensive alternative for really pumping the music up using your own car's audio system also has a built in 24 hour clock, a temperature gauge in degrees F and C, and can be powered either by 2 AAA batteries or directly from your car. Great functions and Chinavasion's impressive amount of customer support and services all go towards making this a low cost wholesale item sure to be a hot seller for you.. If you wish to make comments or reviews about this product, please use the product review. Please open a enquiry.